Hey there B-cyclers, it’s been a loooonnnnggggg time. We wanted to let you all know that we haven’t forgot about you all. 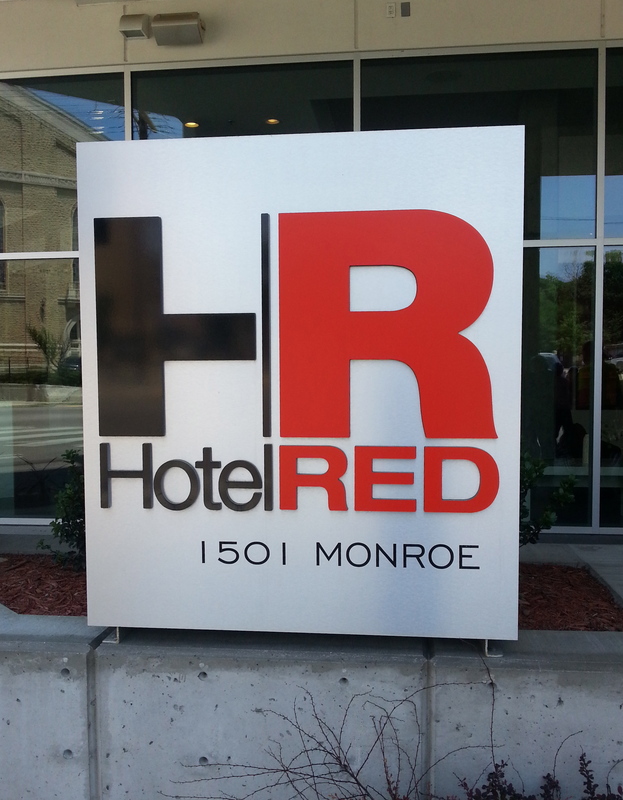 Since we last checked in, we’ve had some major developments and changes. We have three new AWESOME interns, a brand new tech guy, an ever-so fresh Assistant City Manager, and four new convenient stations! Stay tuned next week for details on each of our new developments, including pictures of our new B-team and stations, as well as updates on past, and future, events! 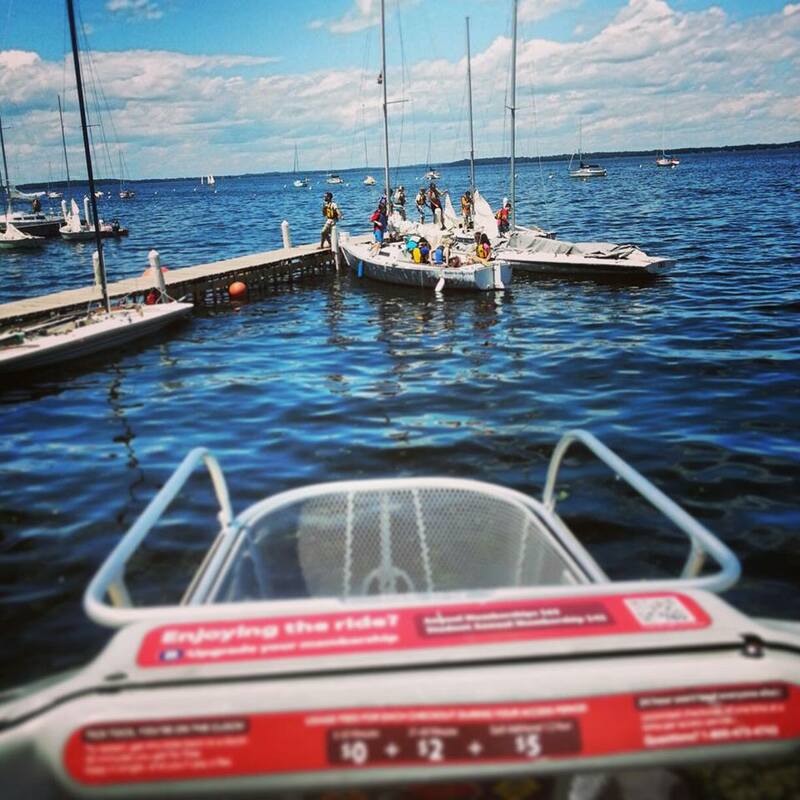 We have some exciting things in store this summer that you don’t want to miss. This video would have never been possible without the amazing help of Paddy Cassidy. Paddy was 100% instrumental in the creation of this video, and we want to make sure his work is honored. The best way to honor a video editor? Share his material. 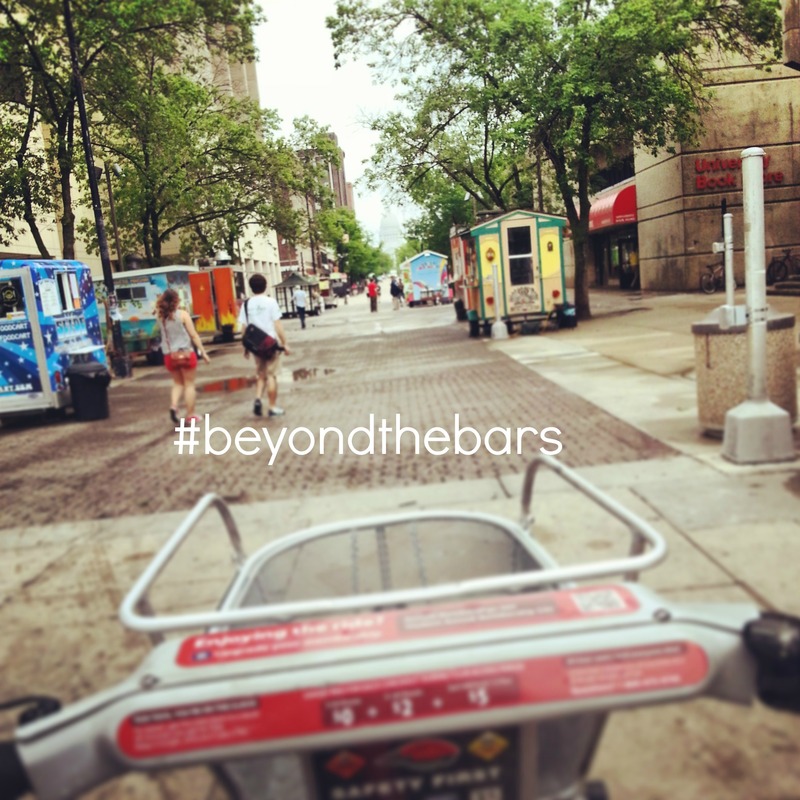 Post the link to any social media site, retweet it, share it with your friends that love bike share (or Connor). As the internets say, let’s make this baby viral! Thank you again Paddy for your constant help in making this happen. 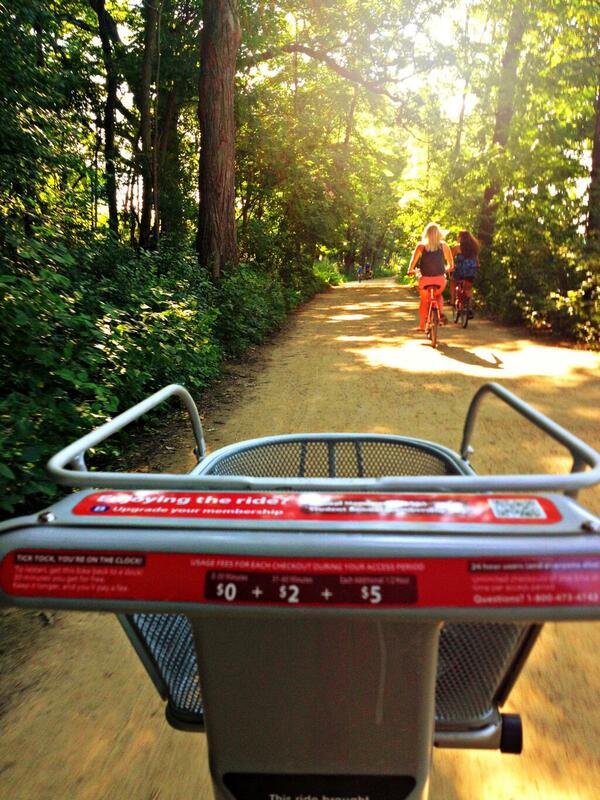 We owe you B-cycle rides for life. Ya know what isn’t offensive about summer ending? 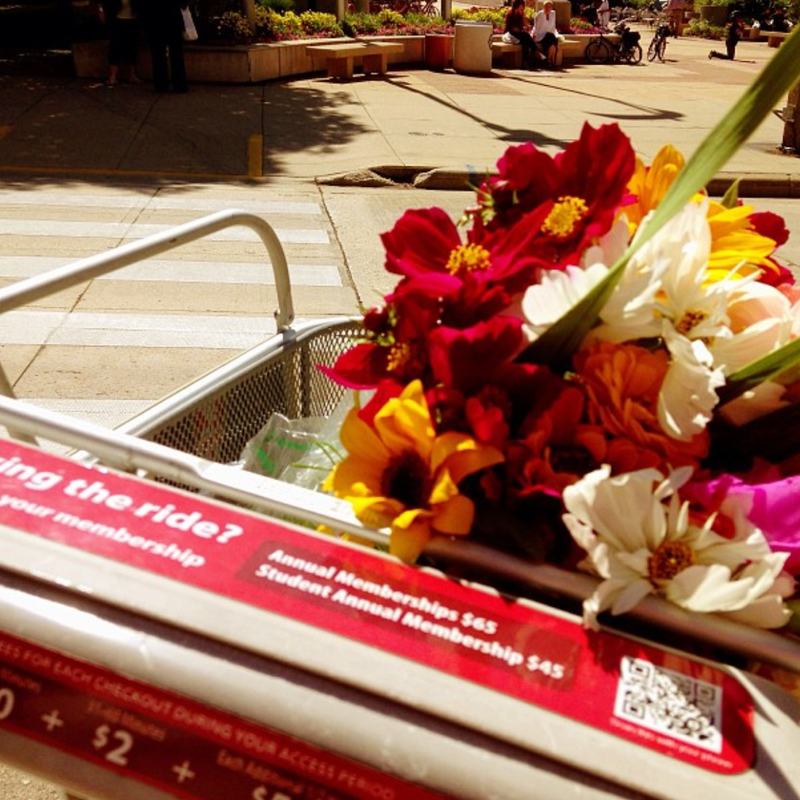 The return of a contest for a free annual membership to Madison B-cycle. 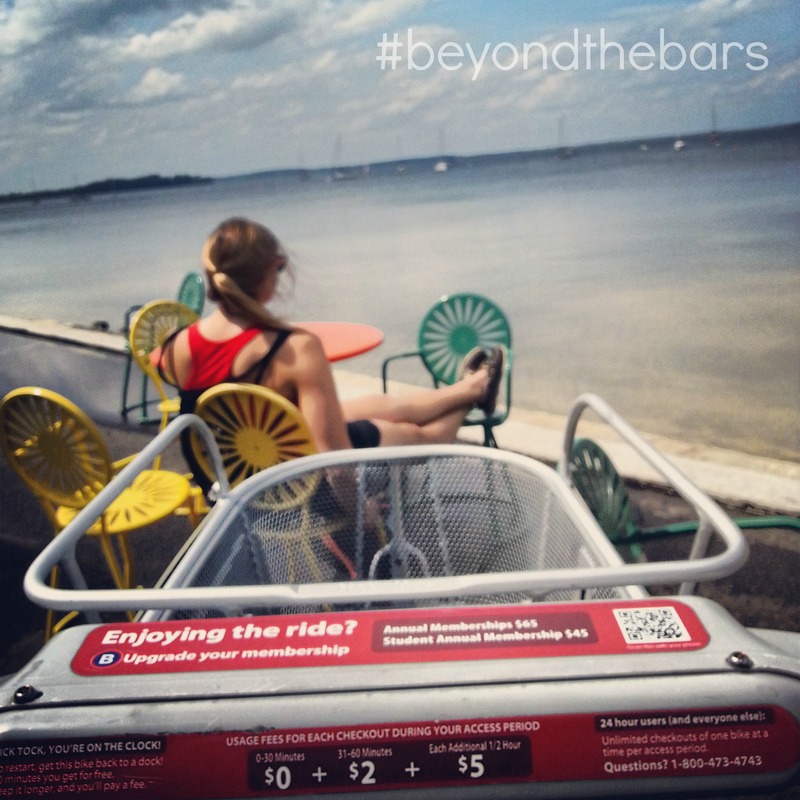 You may have caught glimpses or our “Beyond The Bars” moments on our Facebook and Twitter this summer. You may have even been inspired to snap your own photos. Well, those creative strokes of genius could be your chance at a free membership. 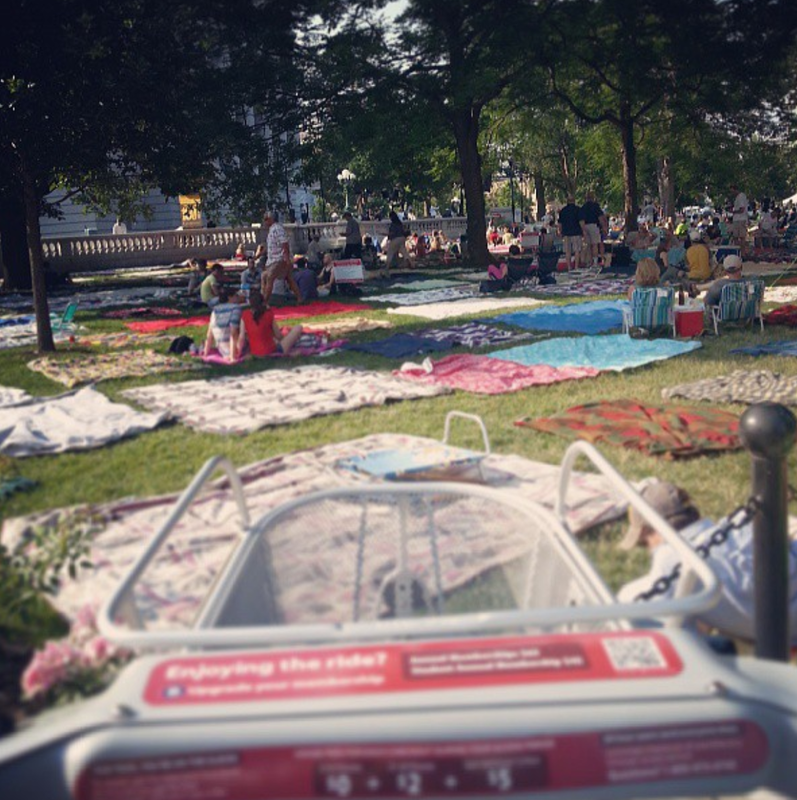 It’s a shame that New Belgium’s Clips Beer and Film Tour only comes to town once a year, because this event is seriously the ultimate date night. 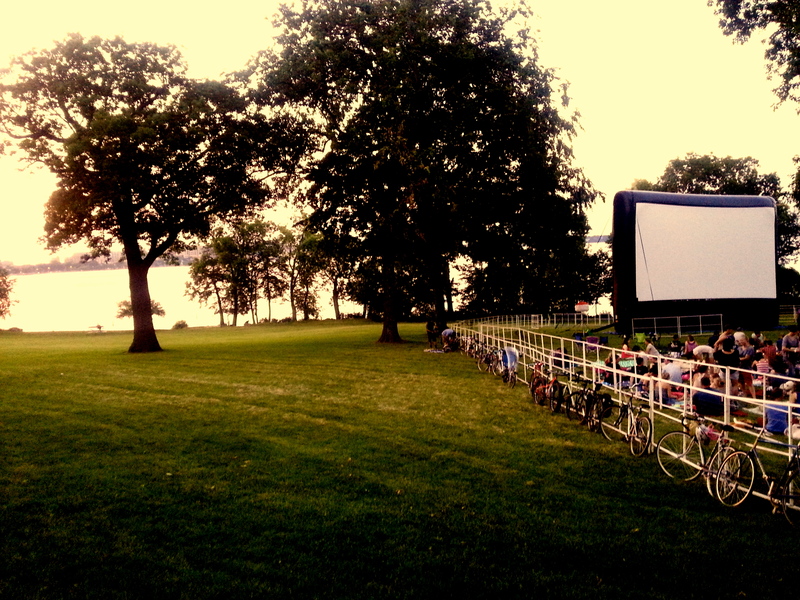 Can you imagine someone saying “Hey, wanna ride bikes to the lake, drink some craft beers, and watch a movie while the sun sets?” Yes. Yes I do. For as long as we both shall live. Ladies and gentleman, mark your calendars for next year because no one is turning down that kind of offer. And even better? 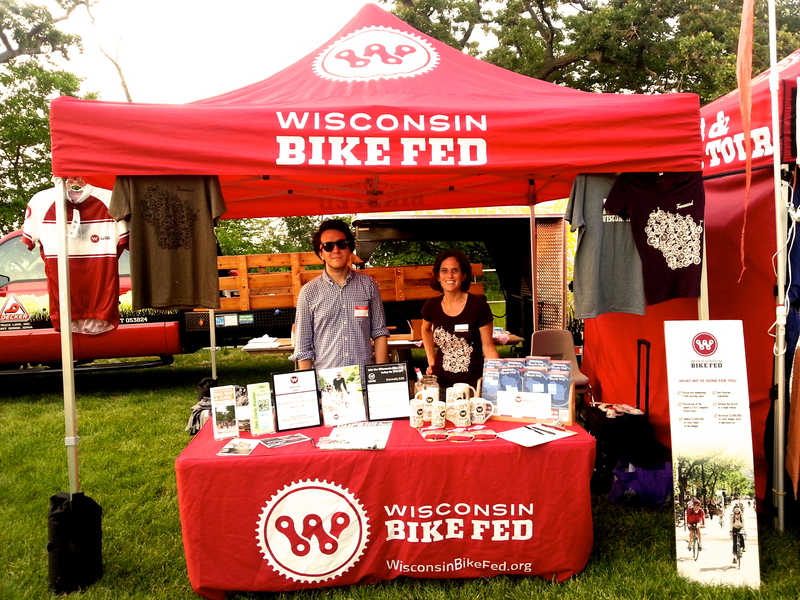 You get to tell your date that all the proceeds from the beer sales go to supporting the Wisconsin Bike Fed – a local non-profit that devotes 100% of its time to making Wisconsin one of the world’s best places to ride a bike. 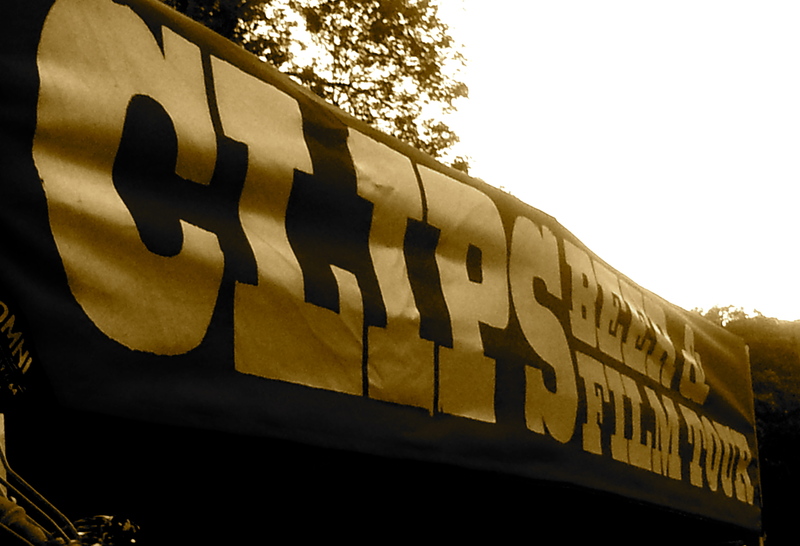 So basically New Belgium Brewery and Wisconsin Bike Fed had a baby and named it Clips Beer & Film. 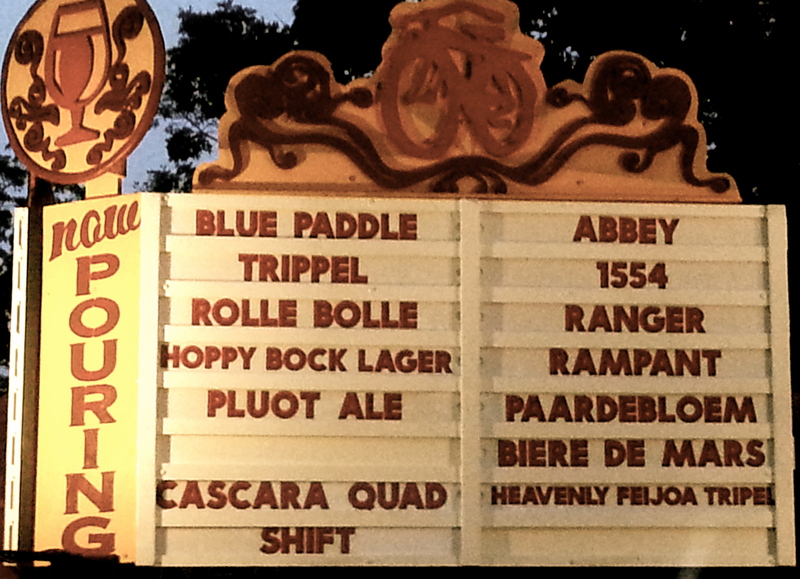 And we all lived happily ever after in a state of bike and beer ecstasy. But really. This event is too good. 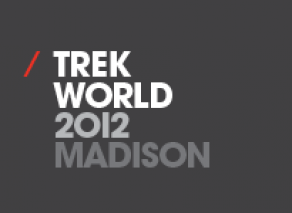 It didn’t take much to convince the Madison B-Team to help out with this event. 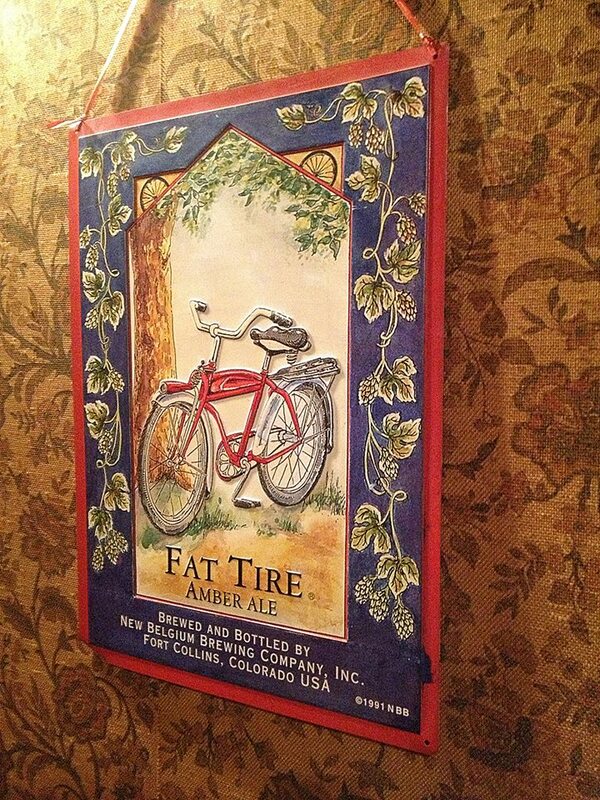 After all, the New Belgium Fat Tire logo strongly resembles a B-cycle…no? 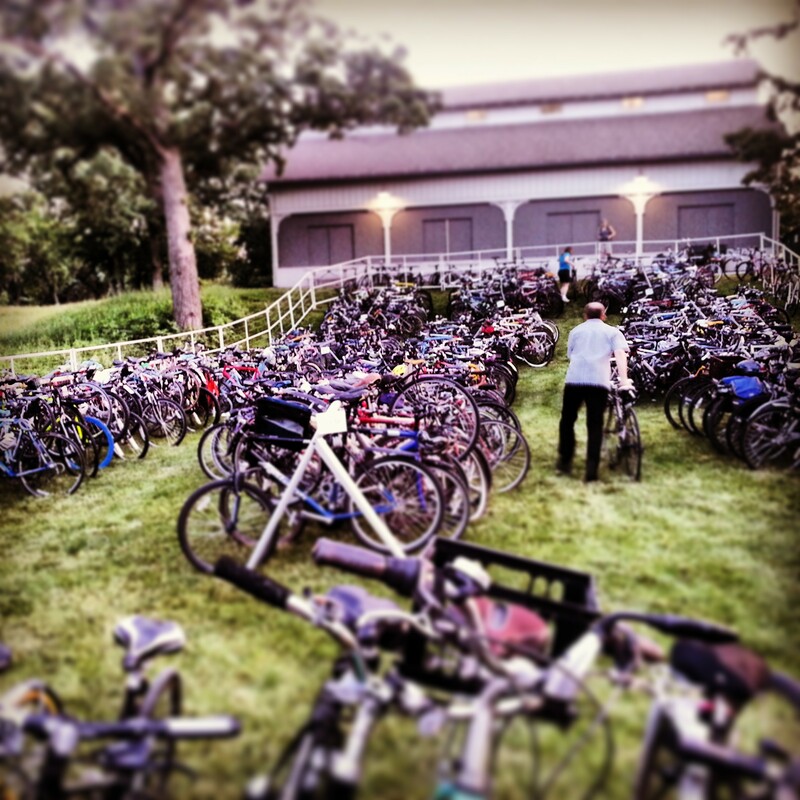 With the help of the Wisconsin Bike Fed and many other bike-loving volunteers, we were able to valet over 600 bikes (not including the 300 parked outside the valet) for the great Madison community so they could drink their hand-crafted brews and watch some hand-crafted films while their bikes were safely tucked in for the night. 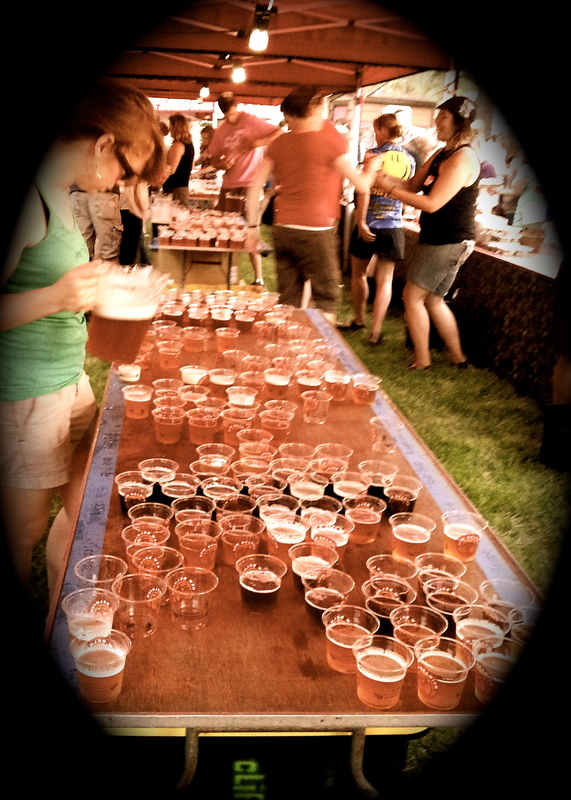 Out of all New Belgium’s Clips Beer and Film Tour stops, Madison is actually the largest – with over 1200 in attendance last year and over 1800 this year. Are we surprised by this fact? Not in the slightest. 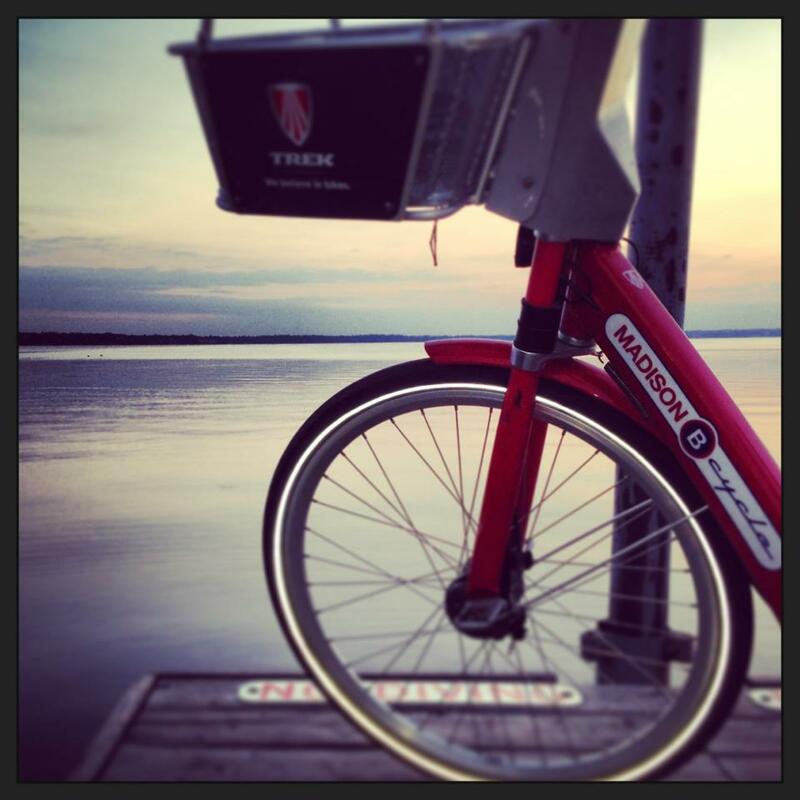 Madison-ians know how to enjoy the simple things in life – like bike riding on a Thursday evening and taking in a sunset one sip at a time. 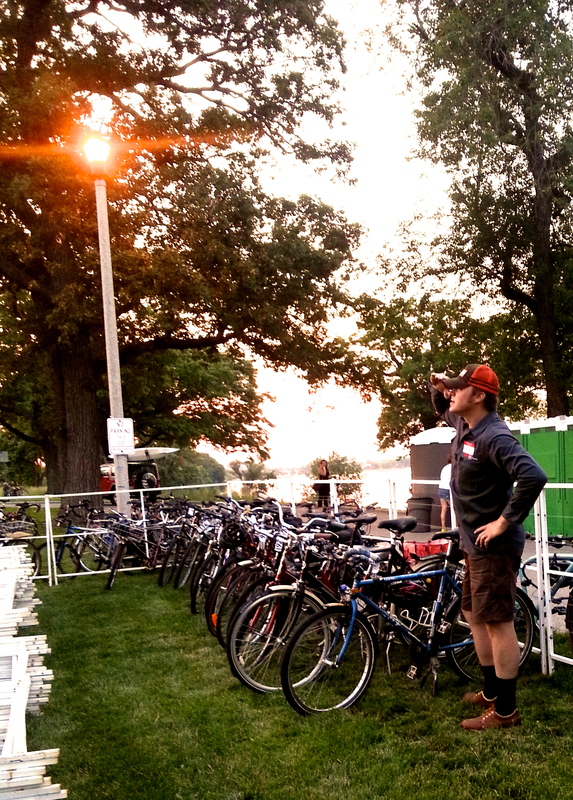 B-Team Tech spotted in his natural environment..surrounded by bikes. 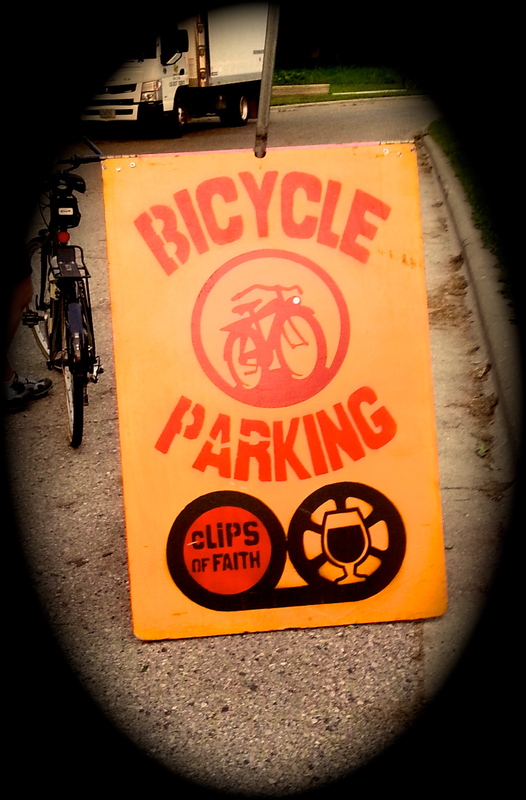 Running a bike valet is not similar to running a day care because copious amounts of beer can be found on the premises. 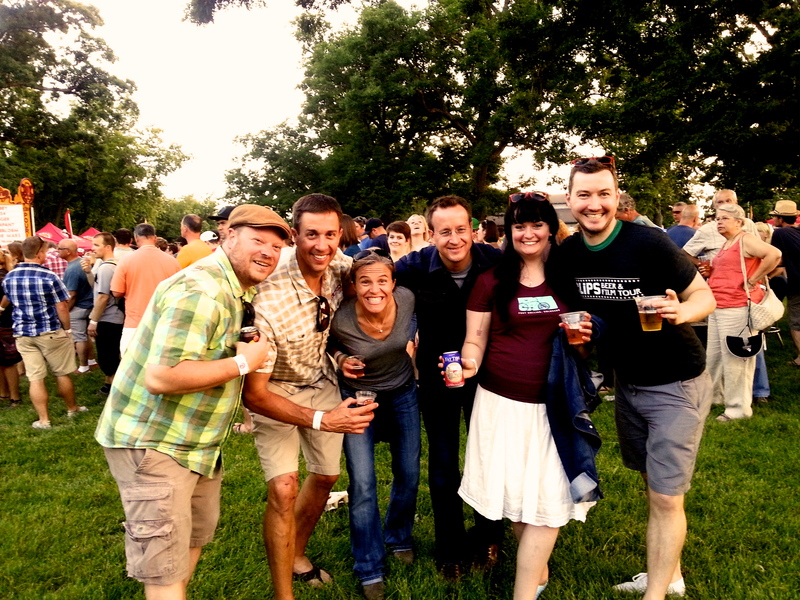 The New Belgium Crew. Livin’ the dream…livin’ the dream. Lips of Faith selection. Personal favorite? Cascara Quad. Sometimes a picture is worth a thousand words, and this will definitely be true of this post. I have to tip my hat off to food critics who can accurately describe how something tastes and smells, enough so that they convince you that you are hungry, even when you are not. It’s like watching Food Network. Regardless of the meal I consumed 10 minutes prior to watching any show on that channel, I always manage to convince myself that I am still hungry and should probably grab a snack. 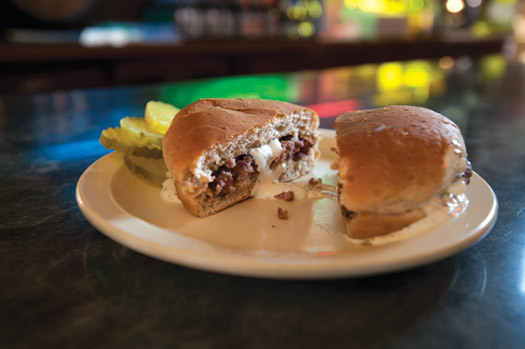 Or how about that grand old rule of thumb “Never grocery shop on an empty stomach.” I’m gonna go ahead and warn you readers – probably shouldn’t view this post on an empty stomach. 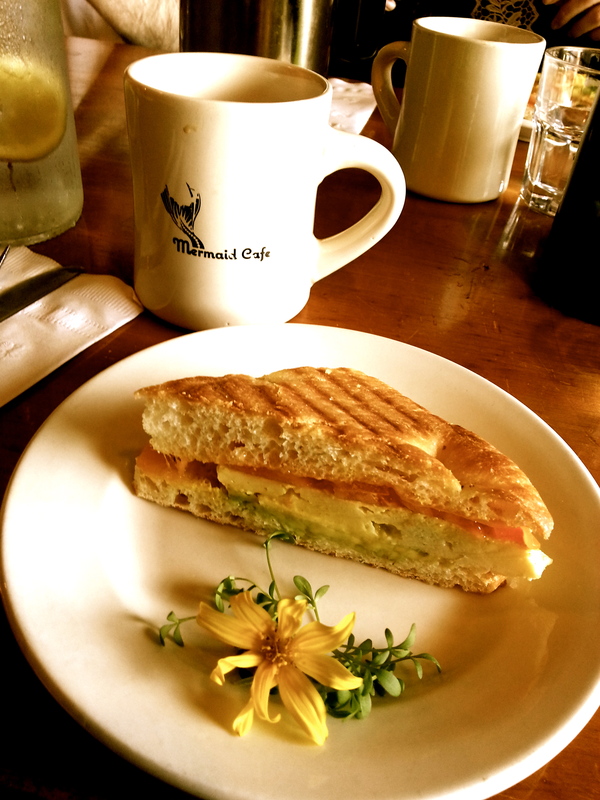 You may just find yourself AWOL at work and munching on a coconut curry egg sandwich at Mermaid Cafe. 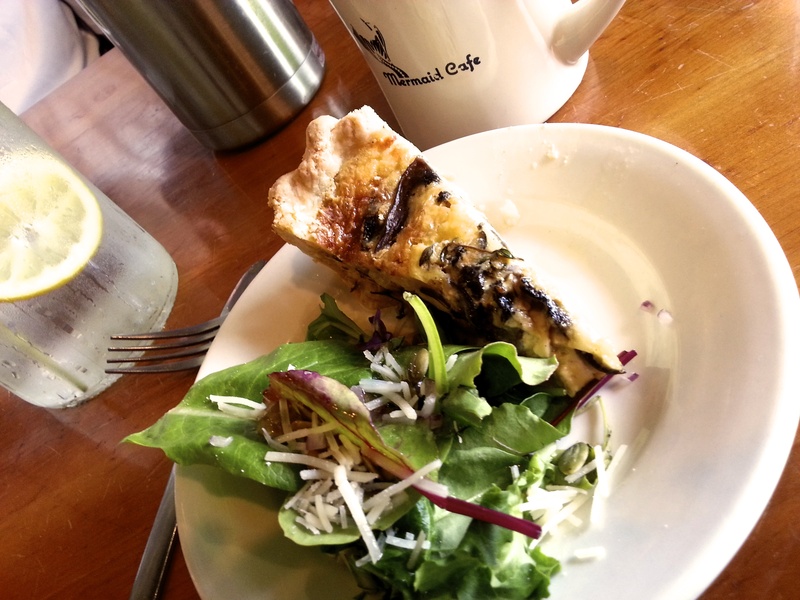 This past Friday, I (Melissa, your faithful B-cycle Brunch Tour Guide and frequent blogger), was fortunate enough to join up with Madison Eats – a local food-lovers club in Madison – and B-cycle around town while indulging in fine local cuisines. Rough work day, right? 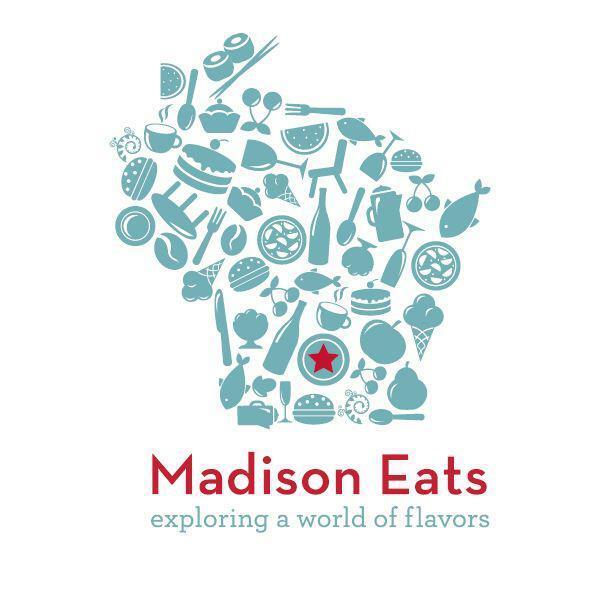 When I first heard of the club Madison Eats, I was pretty sure I was already in in it. 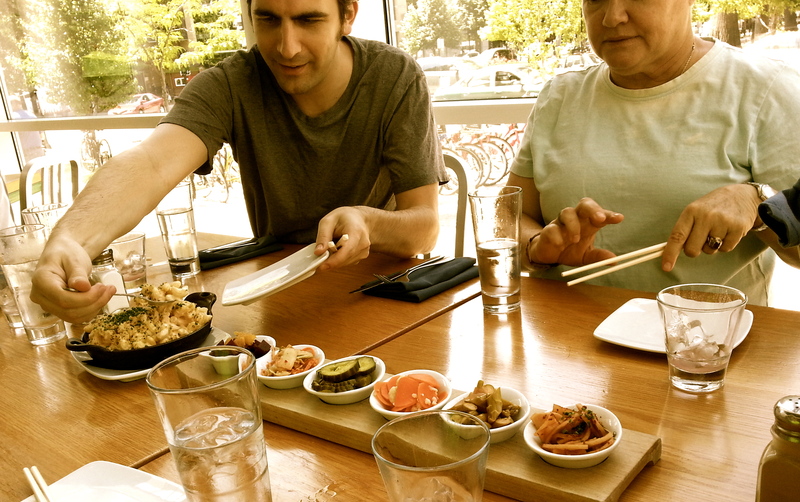 I live in Madison and I eat a lot of food. 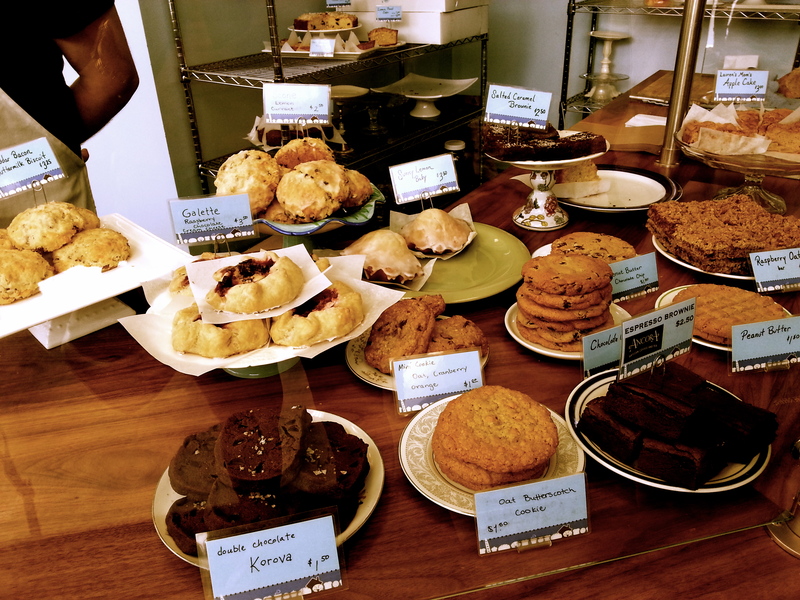 But Madison Eats provides some pretty unique opportunities to explore the underground and local food scene in Madison – this brunch tour being one of them. 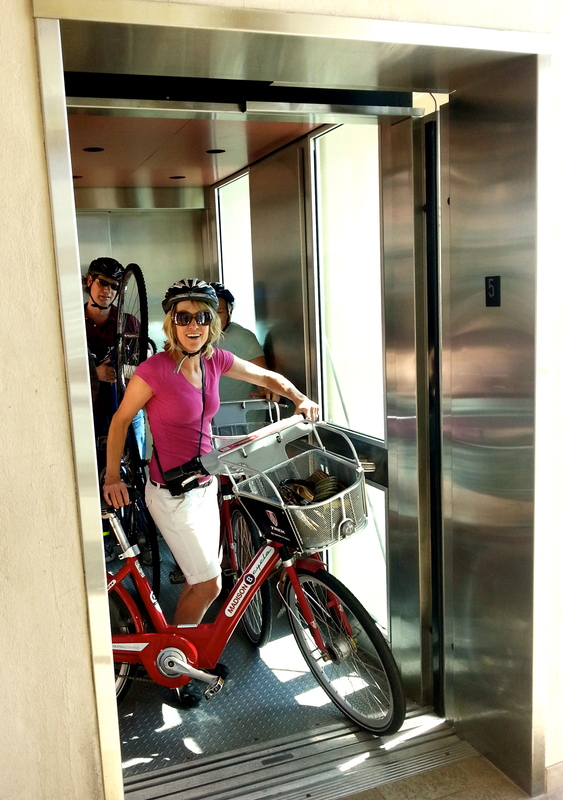 The founder of Madison Eats – Otehlia – had been doing brunch tours for years and had just recently had the stroke of genius to pair with Madison B-cycle to cover more amazing foodie havens. 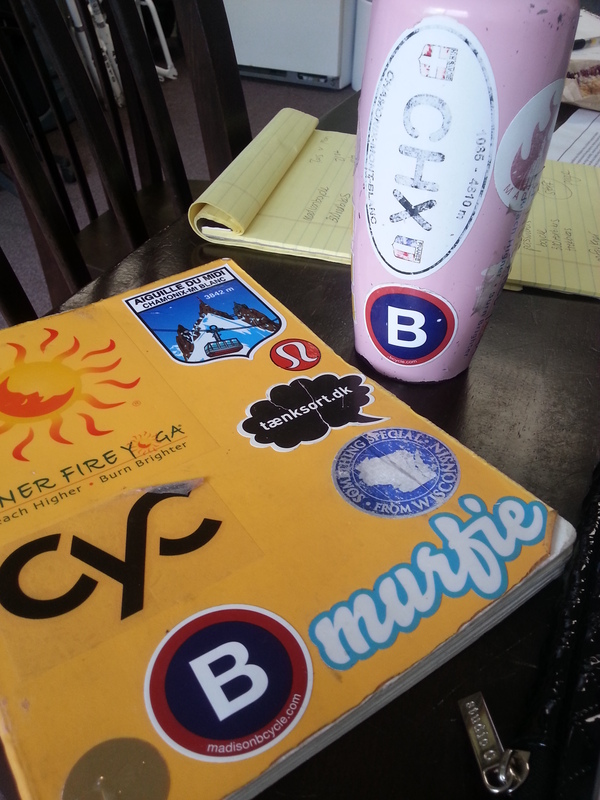 The staff at B-cycle was more than ecstatic about this partnership. 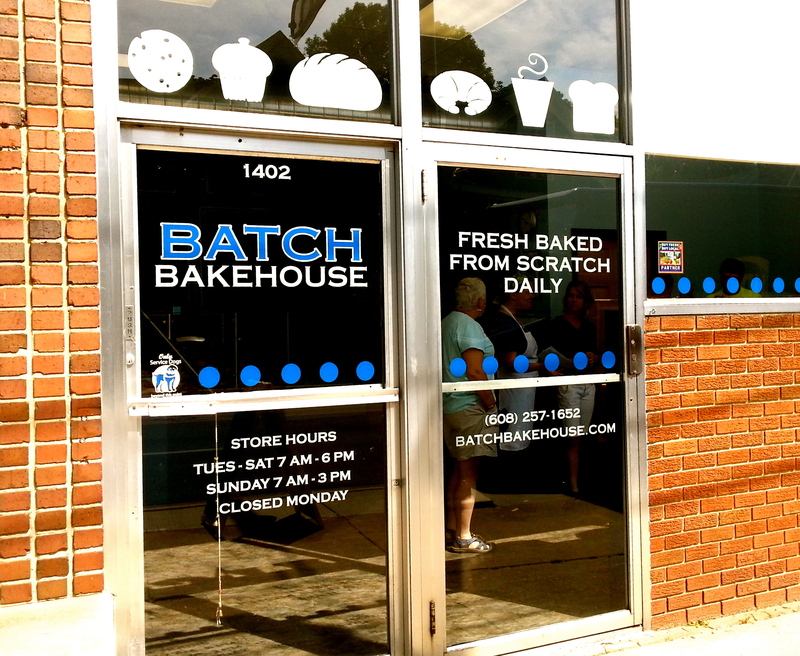 Below you will find my storybook account (lots of mouth watering pics, few words) of our tour that day – beginning at Mermaid Cafe on Winnebago Street, ending at Hotel Red, and delighting in Batch Bakery and Graze in between. You may be asking yourself at the end of this post “Why haven’t I done this before and how do I make sure I don’t miss out next time?” Well friends, sign-up is easy. Click here to buy your tickets for you and your friends. 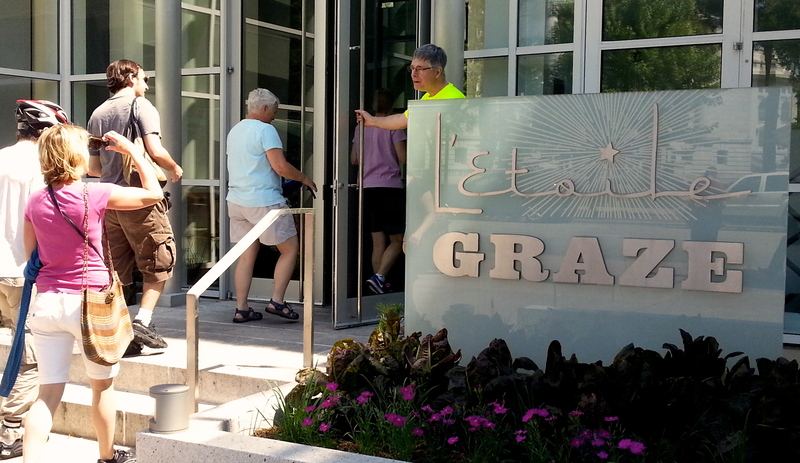 The next tours take place on June 29 and July 11 – with hopes to add more based on demand. 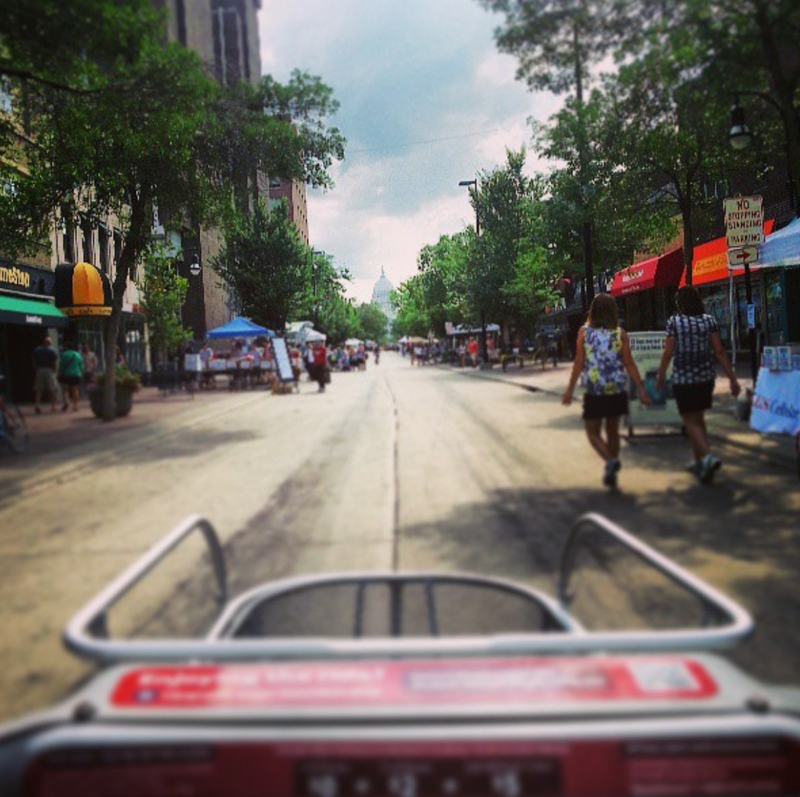 And by demand, I mean I will be demanding that Otehlia lets me lead another B-Cycle Brunch tour. 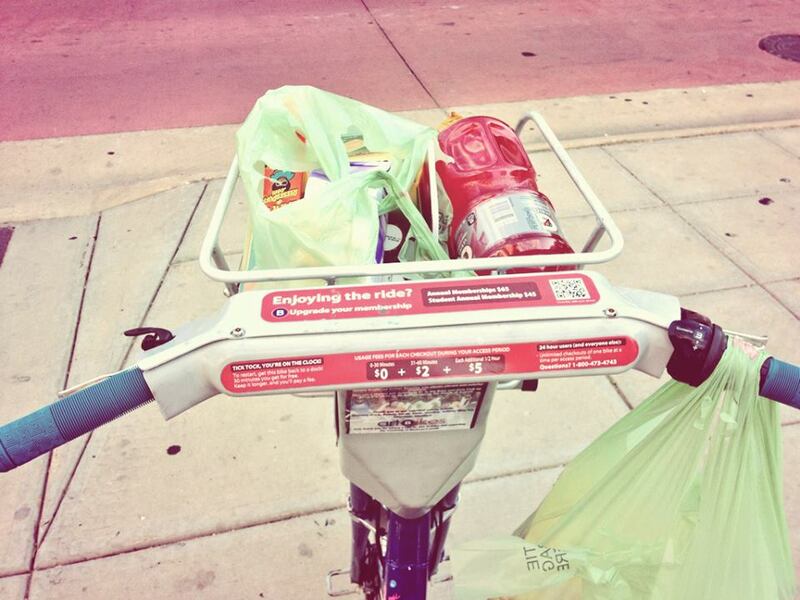 Because who doesn’t love eating and biking? No one. That’s who. 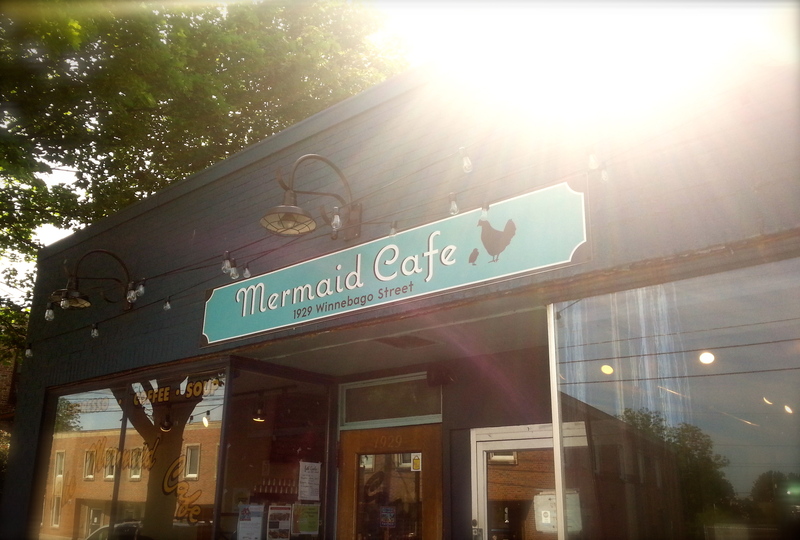 I had never heard of Mermaid before this tour. I’ve already been back. A true Madison gem. 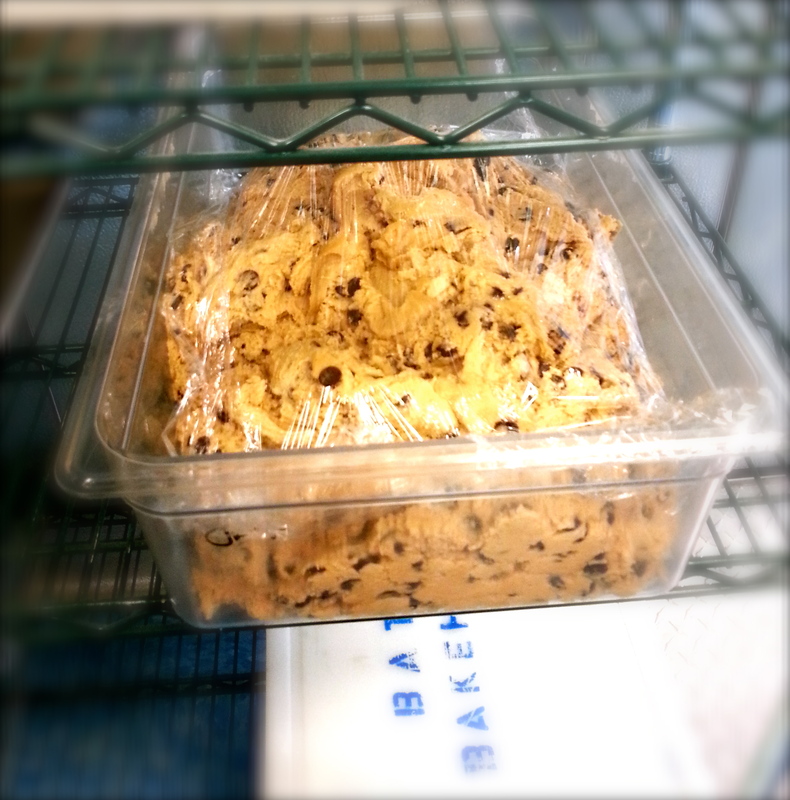 Holy baked goods, right? Every item made by scratch, by hand, and before dawn. 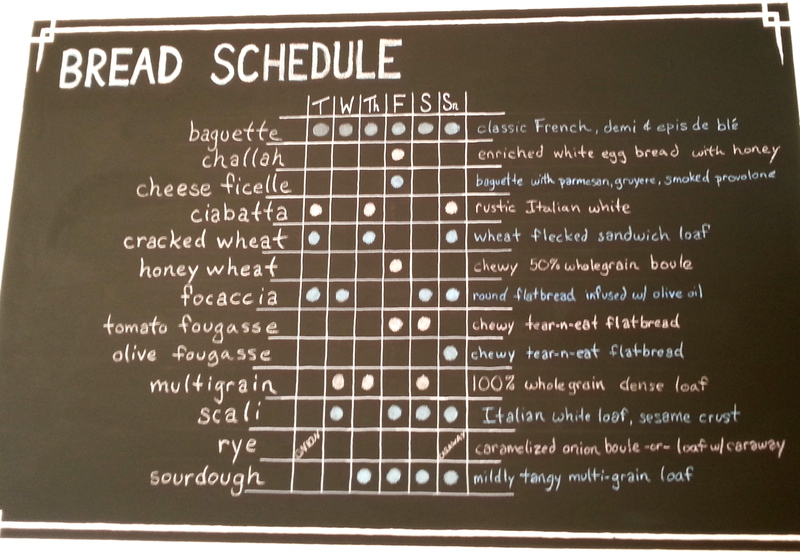 Batch’s bread schedule and my new phone background. 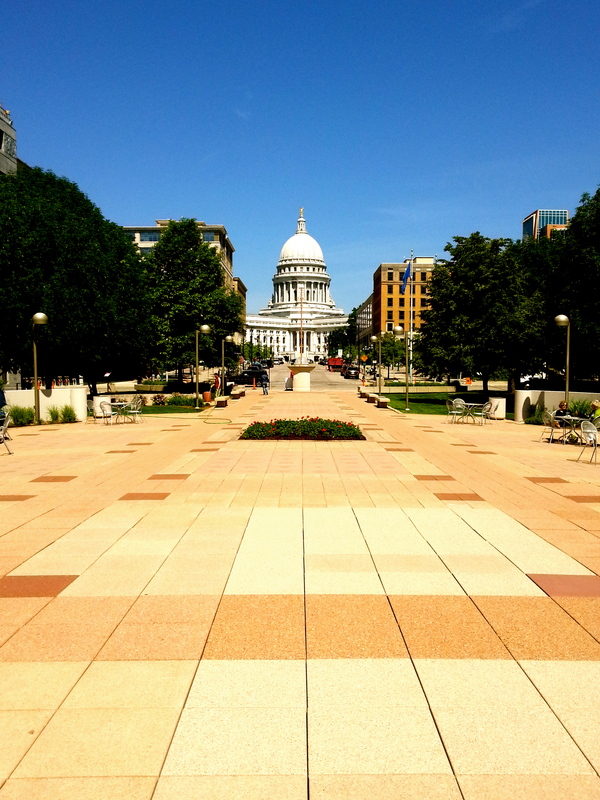 After Batch, we were all feeling a wee-bit full from not-so-sample-sized samples of pound cake and rhubarb bars, so the backside of the capital hill to Graze seemed a little daunting. 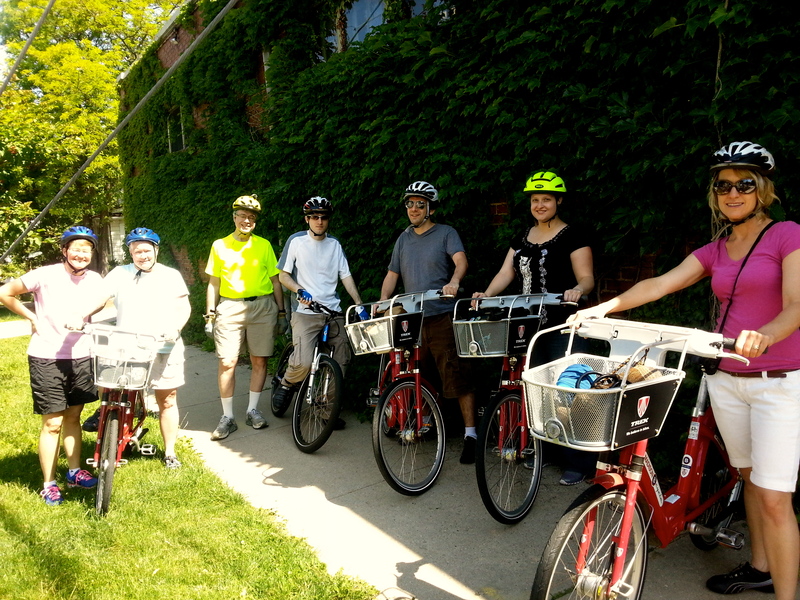 So we did a B-cycle and Brunch tour first! We took the magical elevator at Monona Terrace! 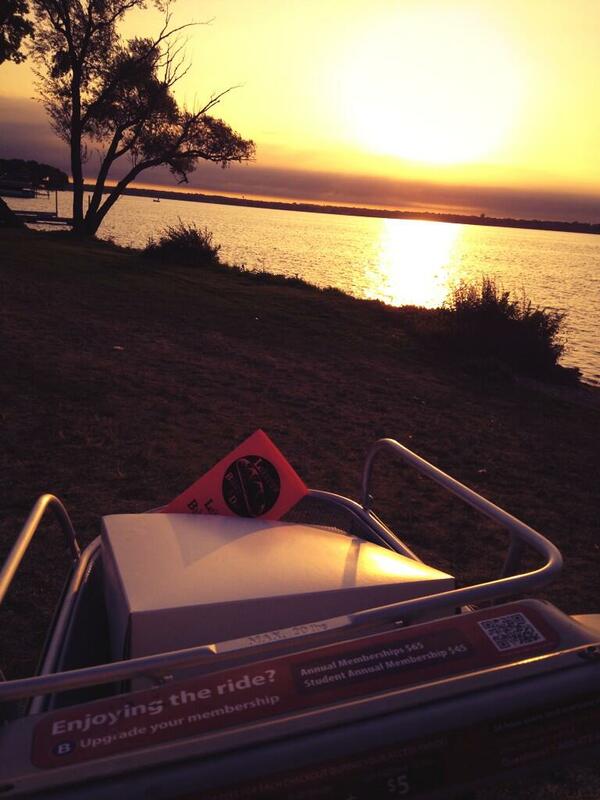 It only took us three separate trips to get all those B-cycles up, but walking out to this view was totally worth it. Do we live in a gorgeous city or what? 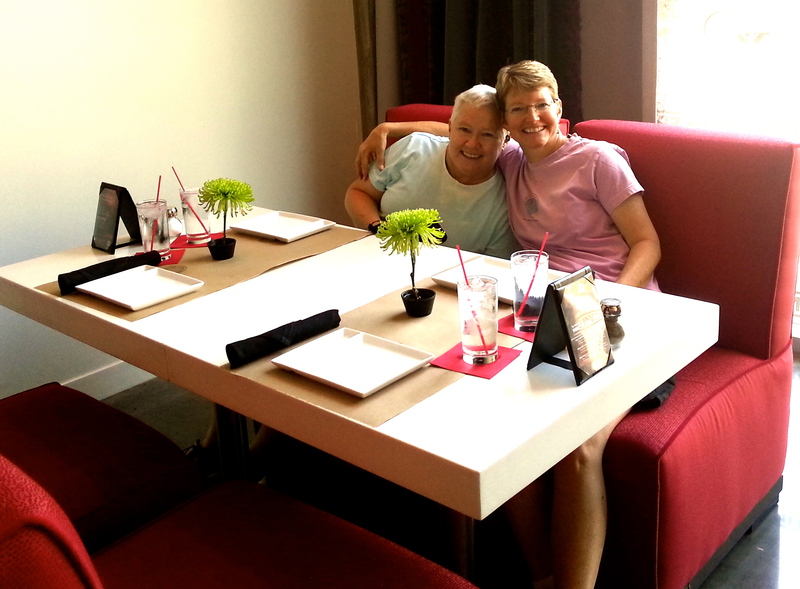 Two sisters – one a local and one visiting from Iowa. Talk about a great thing for visiting friends and family. 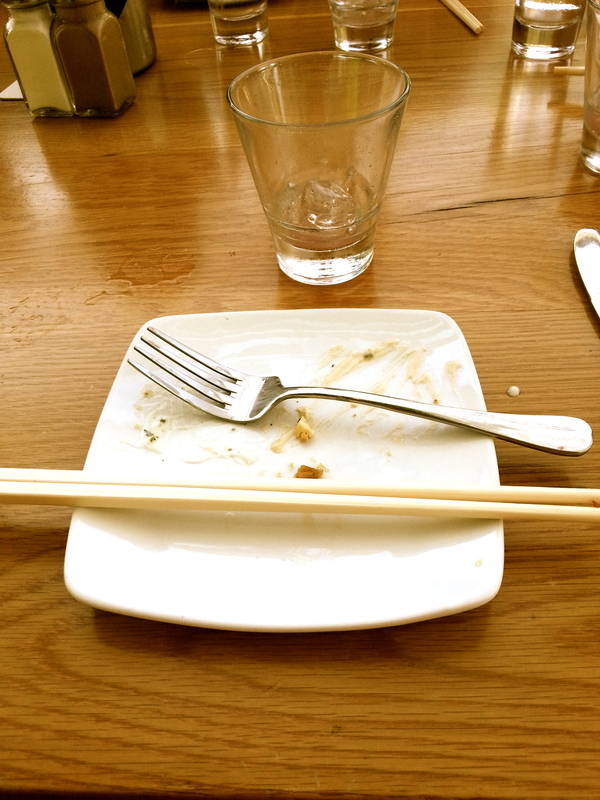 Plates licked clean. Every time. And that’s a wrap folks. Huge thanks to all the wonderful restaurants that hosted us. 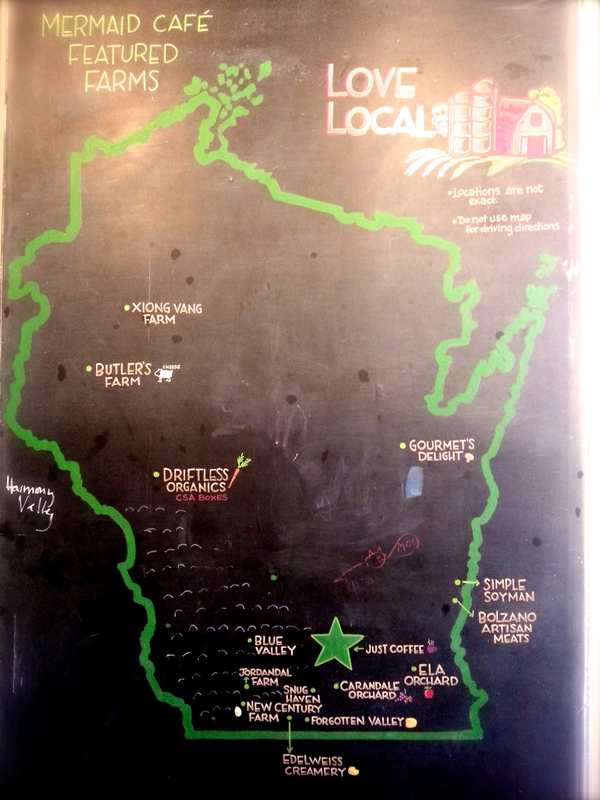 We appreciate all you do to support local farms by sourcing the finest products that Wisconsin has to offer. 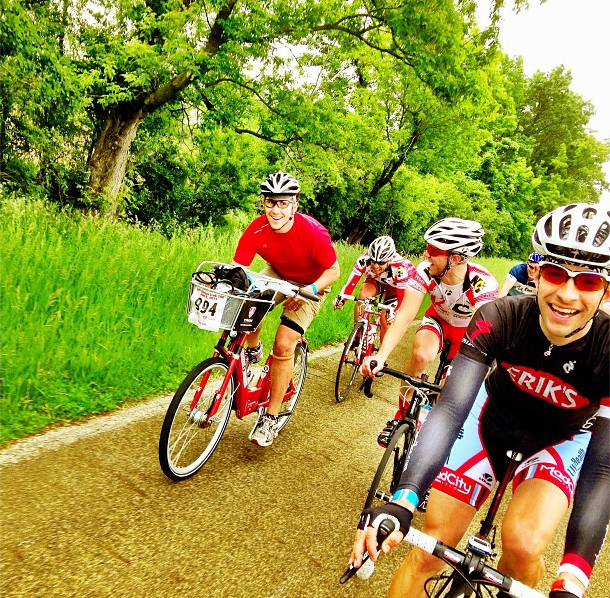 For the past 24 years, Trek Bicycle Corporation and the MACC Fund (Midwest Athletes Against Childhood Cancer) have been teaming together for the Trek 100 Ride For Hope. 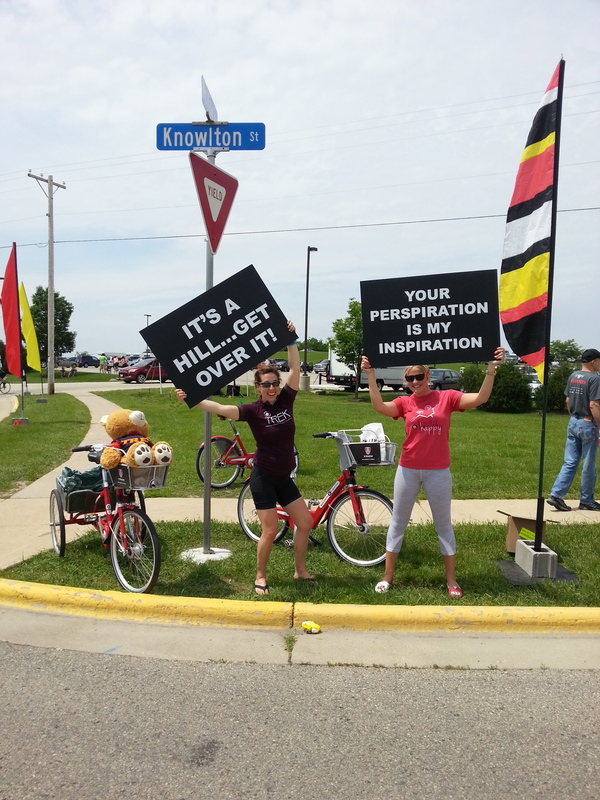 The Trek 100 has contributed over $11 million dollars to pediatric cancer research, and we imagine that fund grew substantially after the 2013 ride held this last Saturday in Waterloo. Each rider was asked to raise $2/mile for two times the number of miles they pledged to ride, with the longest possible mileage being 100 – the grand Century. 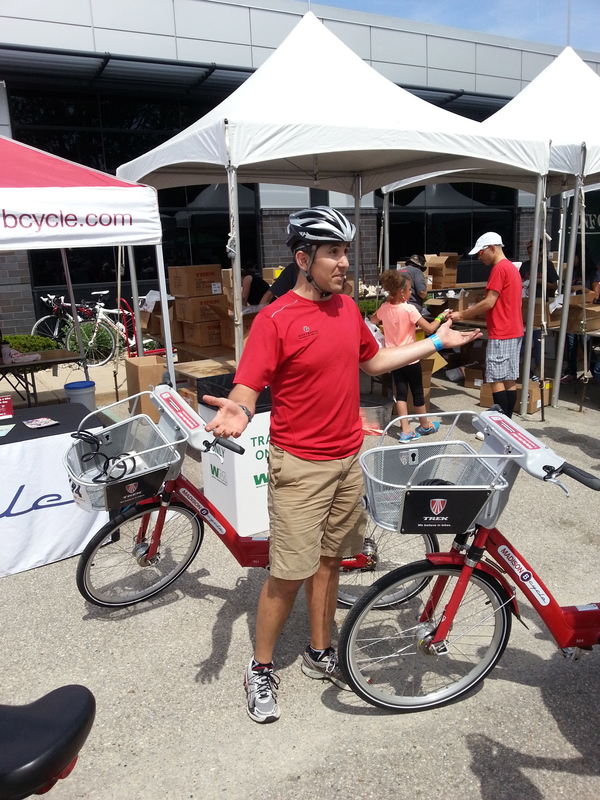 As if riding 100 miles on a bike wasn’t enough, our long time friend at B-Cycle National HQ – Brian Conger – decided it would be best to ride on a B-cycle. Because some people are awesome, and some people are real life bionic men (B-ionic…if you will). Most riders first question upon hearing Brian would be riding his century on a B-cycle was “Why?” But in true super human form, Brian simply asked “Why not?” If you think about it, the logic is quite simple. Big, plushy seat. 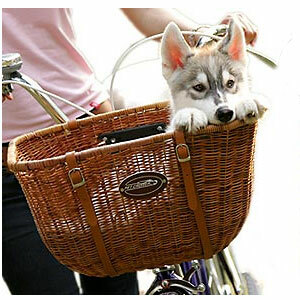 A basket that allowed for the perfect aero position and top speeds. Plenty of room inside said basket for his cell phone (in which he used to make not one, but TWO conference calls while riding…can you say BOSS? But literally. Pun intended). 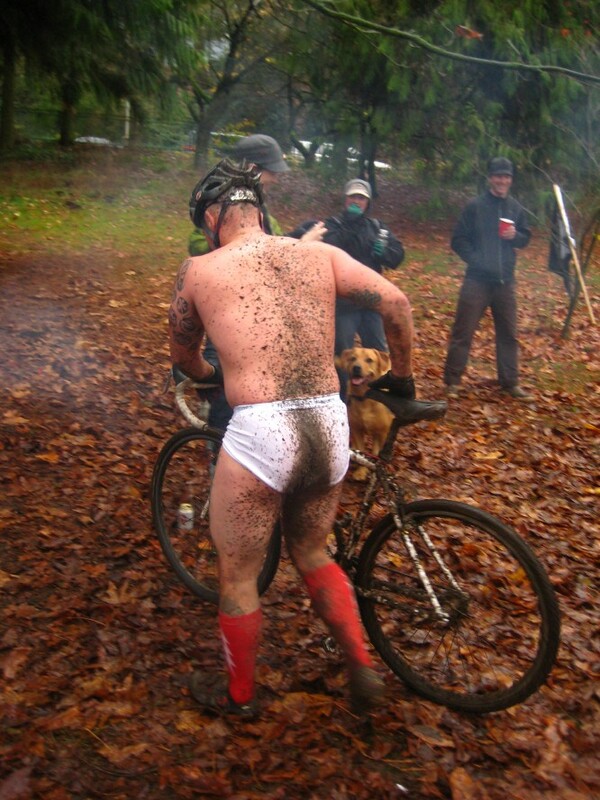 Forget fancy clip-ins and padded shorts. Brian rode his century in what looked like khaki golf shorts and Reeboks. 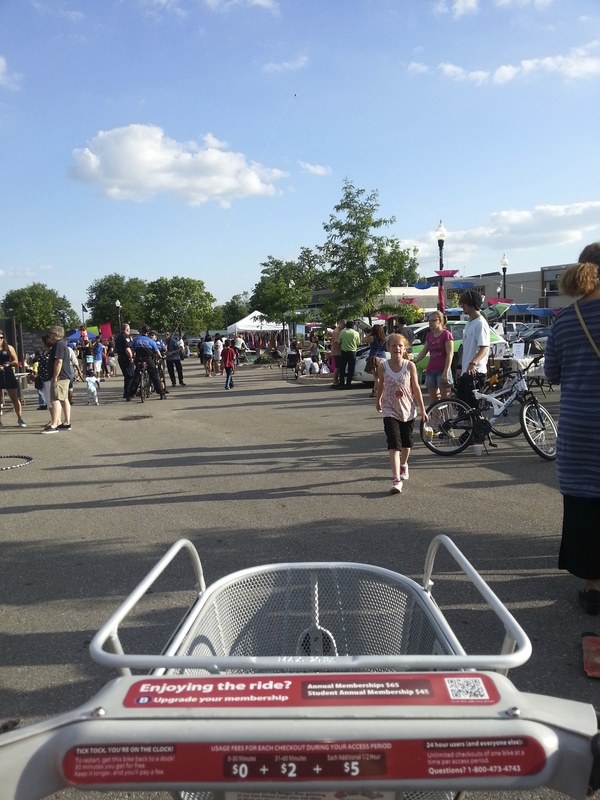 It’s not the first time we’ve talked about B-cycles being magic bikes or stated that anything is possible on a B-cycle. But now Brian has actually proven that. This is factual now. 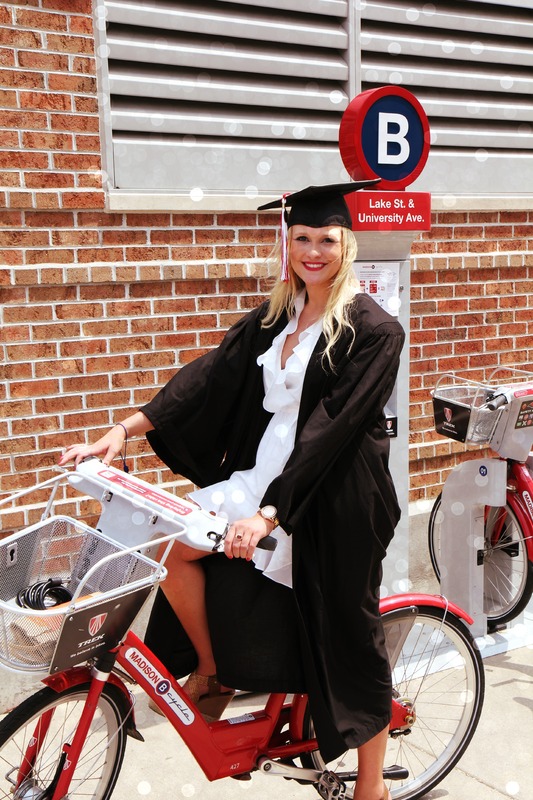 ANYTHING is possible on a B-cycle. Had Brian done any modifications to the B-cycle, it probably would have flown (similar to the the ending scene from Grease where the car suddenly flies…). Maybe next year Brian…maybe next year. 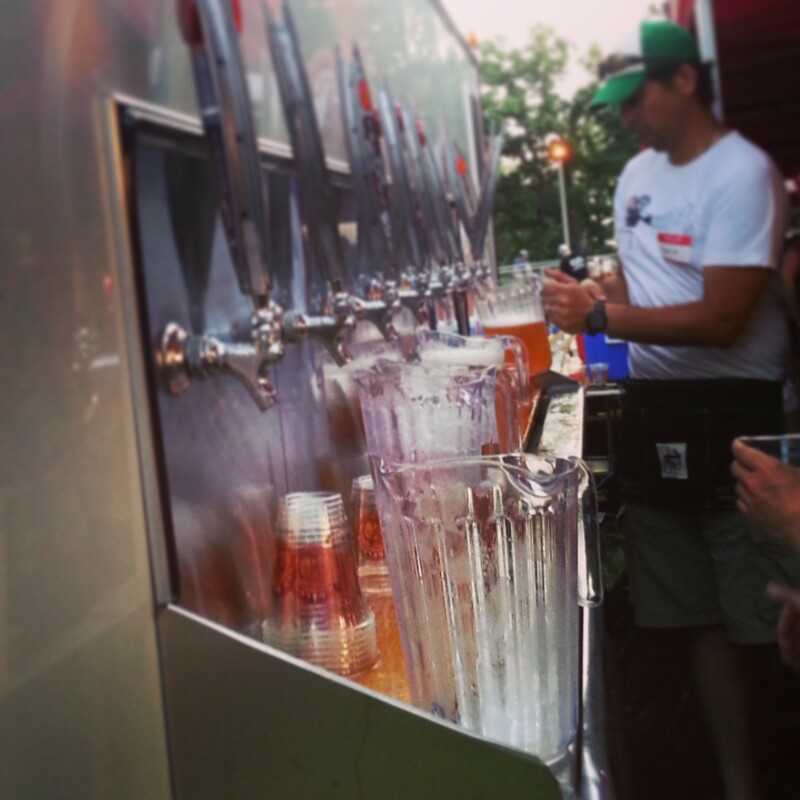 Race essentials. Water. Ice. Teddy Bear. 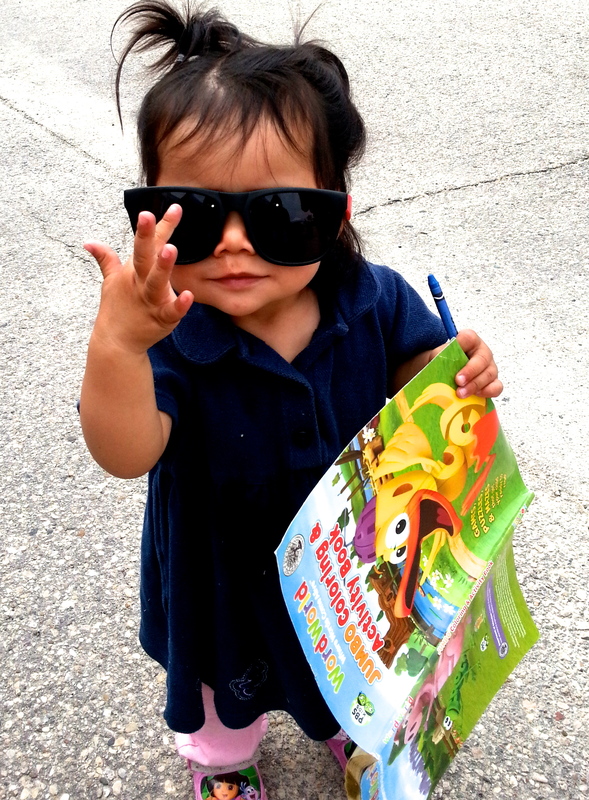 Wouldn’t be a proper event without a pic of an awesome baby in our shades. 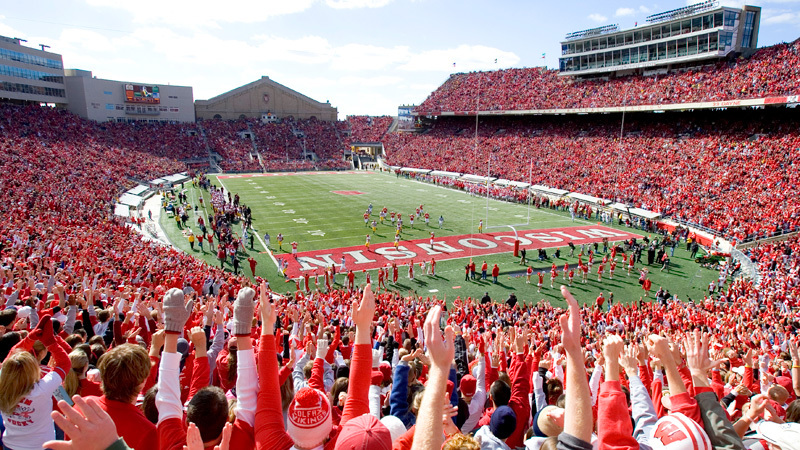 Courage, endurance, and a membership. 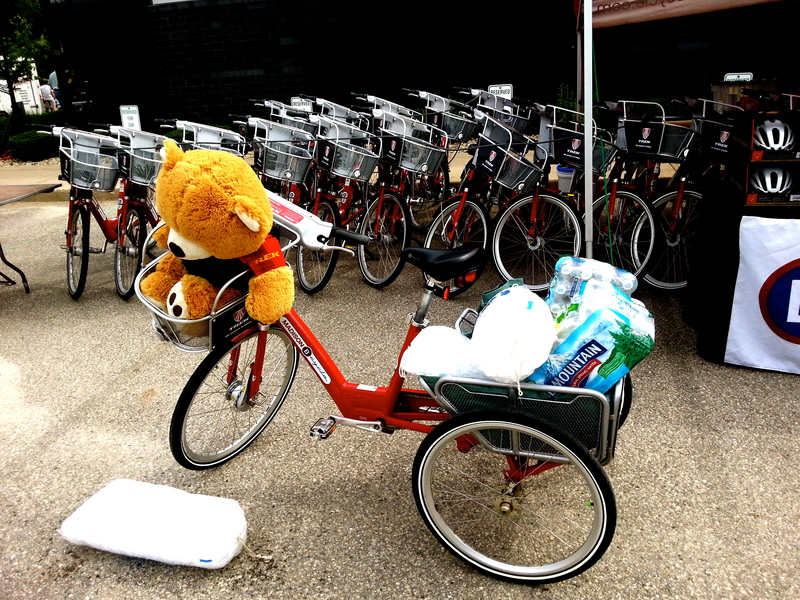 These are the things you will need to successfully complete a Tour de B-cycle.Think you have what it takes to complete a Tour De B-cycle? Take the challenge! 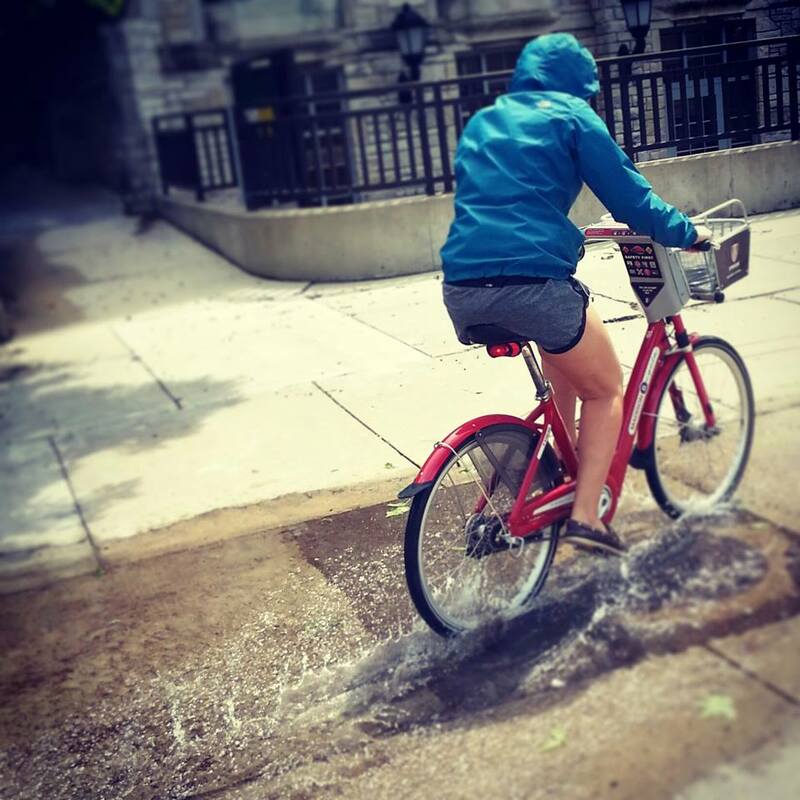 What: Visit each and every B-cycle station in Madison. One bike check-in and one bike check-out must be logged. This ensures that each of your trips is being tracked. 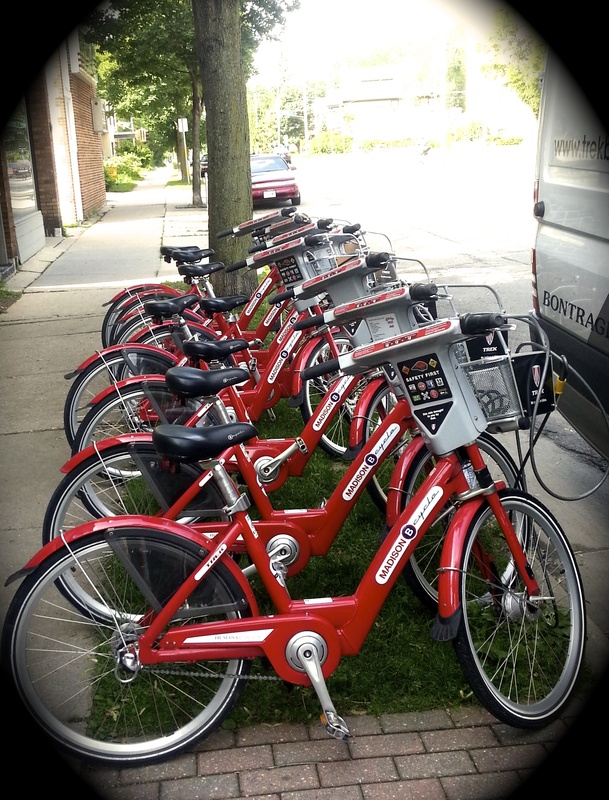 Make sure to use the map on www.MadisonBcycle.com or download the B-cycle app for all locations! When: All 32 check-ins and check-outs must be within 24 hours. 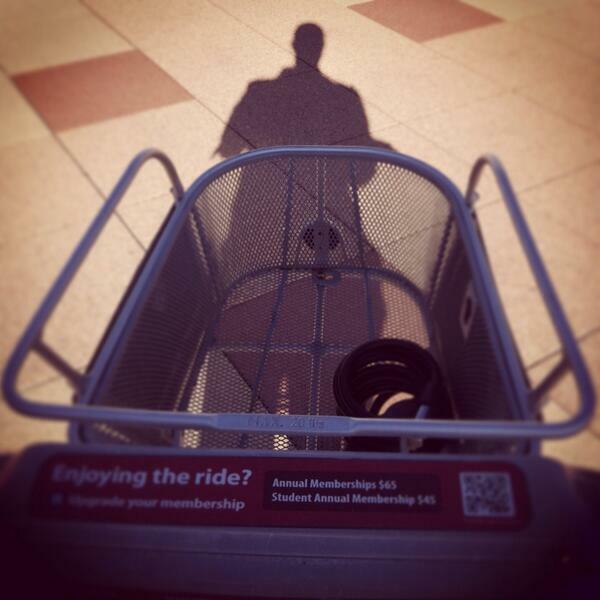 All rides between stations must be under 30 minutes. 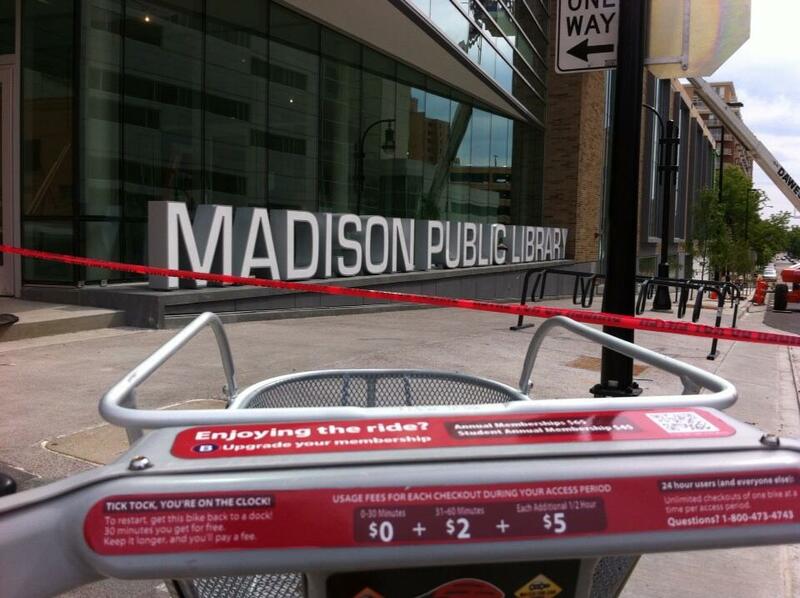 Where: All 32 B-stations in Madison! 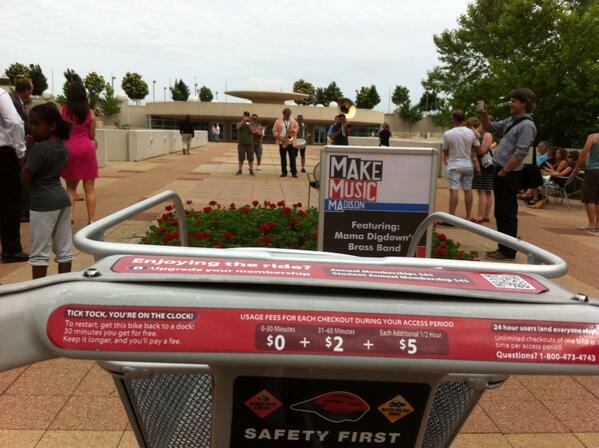 Make sure to return to the B-cycle station that you started from to complete the loop. 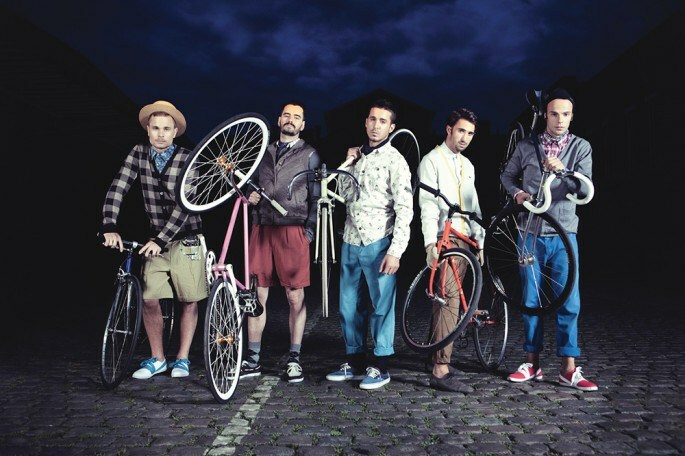 Why: Pride. 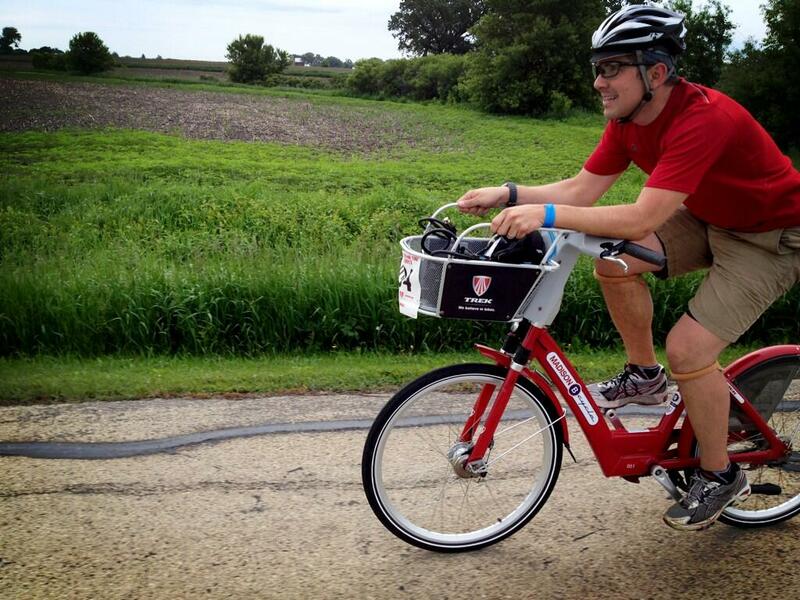 Completing a Tour de B-cycle is a feat that many never accomplish. Oh also, for fun of course! 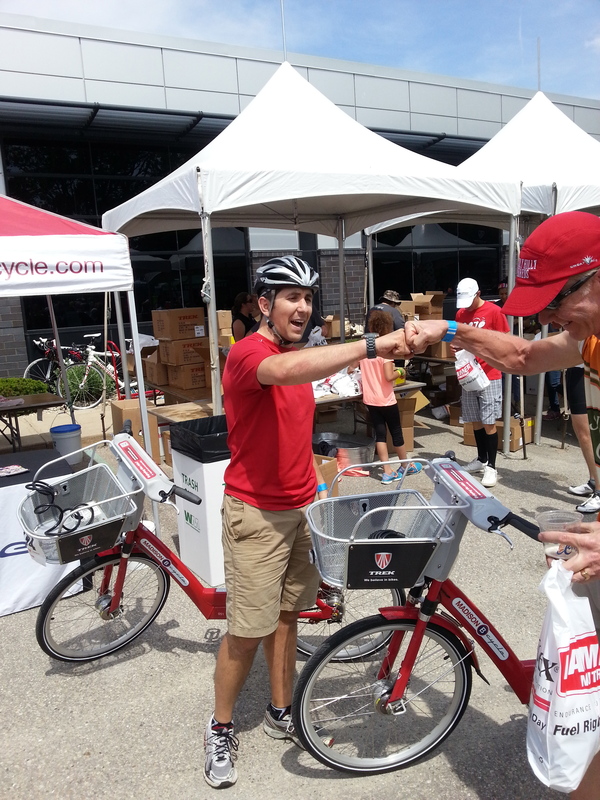 In addition to your new sense of pride, anyone that completes the challenge receives a free Madison B-cycle shirt! How: Map your route, and check out your first bike! 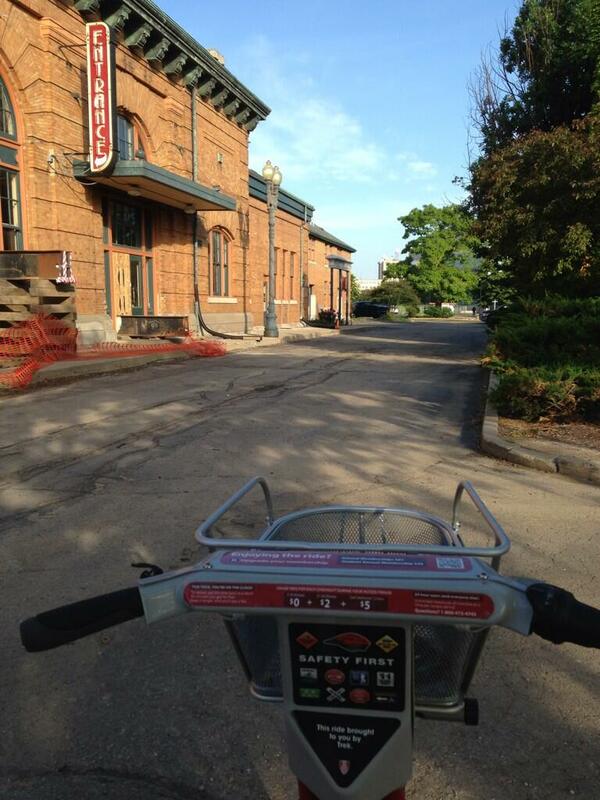 When you’ve completed the journey, post a photo on Facebook Page, and email info@madisonbcycle.com to tell us about it! 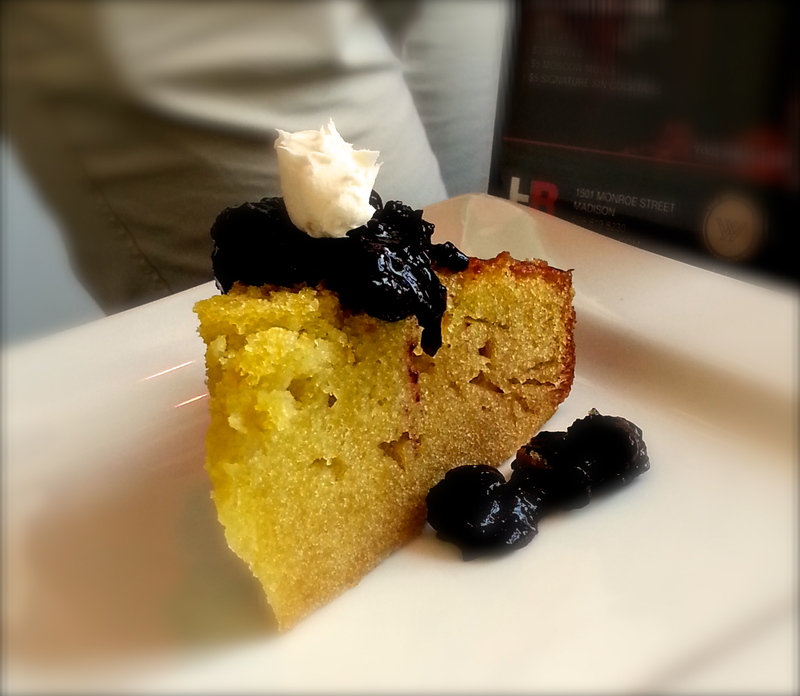 Have a friend join in on the challenge with you.